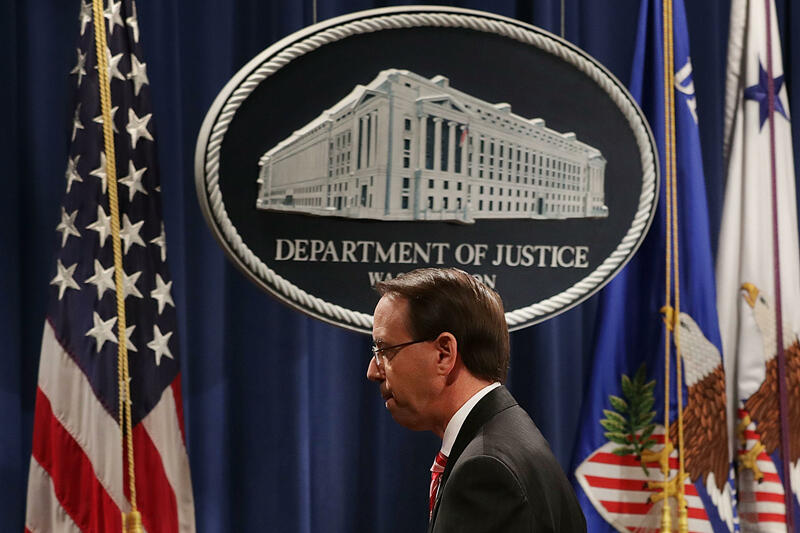 The Justice Department's new Cyber-Digital Task Force has issued its first report highlighting foreign interference in American cyberspace. The report comes three days after President Trump's widely criticized meeting and press conference with Russian President Vladimir Putin and a week after Deputy Attorney General Rod Rosenstein announced the indictment of 12 Russians accused of election meddling, The report also comes the same day Director of National Intelligence Dan Coats reiterated that Russia is the most aggressive state actor continuing to attempt to influence U.S. affairs. Speaking at the Aspen Security Forum in Aspen, Deputy Attorney General Rod Rosenstein, in announcing the report, said, "Every day, malicious cyber actors infiltrate computers and accounts of individual citizens, businesses, the military, and all levels of government." "The Russian effort to influence the 2016 presidential election is just one tree in a growing forest," Rosenstein said. "Focusing merely on a single election misses the point." The report covers a range of malign foreign influence operations, including those that target election infrastructure, political organizations, and disinformation operations. "Influence operations are a form of information warfare," Rosenstein said. "Covert propaganda and disinformation are among the primary weapons." The report emphasizes the importance of vigilance against foreign interference in American elections and politics. "Foreign influence operations include covert actions by foreign governments intended to sow division in our society, undermine confidence in our democratic institutions, and otherwise affect political sentiment and public discourse to achieve geo-political objectives," the report says. This is a developing story and will be updated. Olivia Gazis contributed reporting to this story.